If you’re planning a trip to Scotland this year, the Kingdom of Fife offers a world class tourist destination famous for its picturesque fishing villages, beautiful countryside and stunning coastline. Getting to Fife is easier than you think. Nestled between Edinburgh and Dundee, you can choose to arrive in Fife by road, rail or air… only 30 mins from Edinburgh Airport. 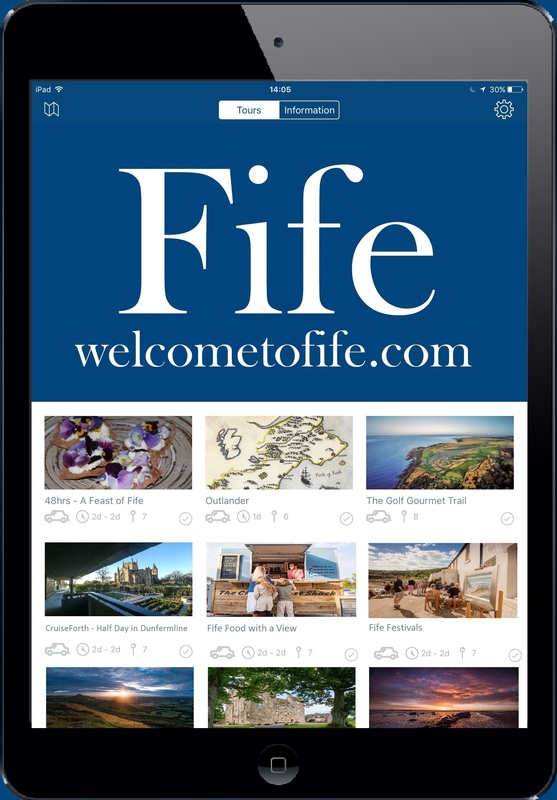 So why not find out why Fife really is the perfect escape! Did you know the Kingdom of Fife has been voted 'No 1 outdoor destination' by Scottish Natural Heritage eight years in a row! With over 47 courses to choose from in the Home of Golf, Fife is one of the most sought after golfing destinations in the world and teeing off in the Kingdom allows you to walk the same links as some of the greatest names in the sport. Fife also boasts a nine-hole hickory course – Kingarrock, located in the grounds of the Hill of Tarvit – so you can even play golf as it was played 100 years ago! If you’re looking for a bit of adventure, you’ll love land yachting or zapcatting in St Andrews with Blown Away, or watersports on Elie beach with Elie Watersports. If you would rather try your hand at waterskiing, Fife is also home to Scotland’s National Waterski Centre. To really get the adrenaline pumping, a visit to Knockhill Racing Circuit is a must. Why not book yourself a track experience at Scotland’s national motorsport centre, near Dunfermline. Fife is also rich in history and royal connections. Why not step back in time by visiting the Royal Burgh of Culross or explore Dunfermline Abbey in what was once Scotland’s ancient capital. Falkland Palace, Cambo Estate near St Andrews and Hill of Tarvit near Cupar, are all stunning with beautiful gardens and are perfect places to spend an afternoon. Fife has Scotland’s highest number of national attractions including the British Golf Museum, Scottish Deer Centre, Scottish Vintage Bus Museum and Deep Sea World. There’s so much to keep the kids entertained. Scottish Deer Centre has 14 species of deer as well as wolves, otters and wildcats. Cairnie Mega Maze is also well worth a visit where kids can play for the day and explore the maize maze! Deep Sea World has UK’s longest underwater viewing tunnel and the meercats at St Andrews Aquarium are just adorable. Around 100 special events are planned across Scotland for Homecoming 2014 and Fife plays host to first-class events including the East Neuk Festival, Bruce Festival and Forth Bridges Festival.